Perhaps not as well-known as it deserves to be, Massa is an ancient city where a Medieval atmosphere still hangs in the air. Located in a valley nestled between the Apuan Alps, the city, whose origins date to 882, is a treasure chest of artistic and architectural gems. 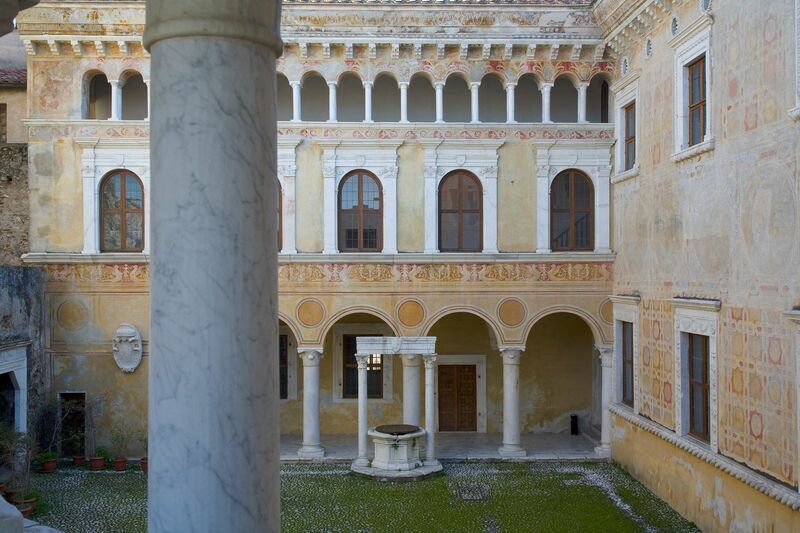 Among the must-sees in the historical center are certainly the imposing Palazzo Ducale (or Palazzo Rosso) in Piazza degli Aranci and the Diocesan Museum, located inside the “Palazzino dei Cadetti,” one of the most important buildings in Massa, built at the end of the 1500s by Alberico I Cybo Malaspina. The works on display here show the artistic and religious history of the city, including the triptych by Bernardino del Castelletto, the cathedral’s treasure, and other expressions of devotion by artists like Jacopo della Quercia, Felice Palma, Agostino Ghirlanda and Domenico Fiasella. The Cathedral dedicated to Saints Peter and Francis, built on the commission of Marquis Jacopo Malaspina in the mid-15th century, is also a sight to behold. For lovers of modern and contemporary architecture, it’s worthwhile to visit to the Church of San Sebastiano and the Teatro Guglielmi, built in 1880 to replace the small court theatre that was deemed too small. The visit can continue with a stop at the Church of the Misericordia, which has remained nearly intact since its construction in 1629. But visiting Massa doesn’t mean just limiting yourself to the historical center: there are many pearls in the surrounding territory to discover, beginning with Malaspina Castle, a true fortress from which visitors can enjoy one of the most beautiful views over the city, the Apuan Alps and the Riviera. The Ethnological Museum of the Apuan is also noteworthy. The collection originally contained material about the agricultural-pastoral activities of the Lungiana, but the museum gradually expanded over time and now contains more than 10,000 objects regarding local life and traditions of the Lunigiana, the Garfagnana and the Versilia.